Around the end of October 2015, Google confirmed that it had started using RankBrain, an artificial intelligence system to provide more relevant results for its users’ search queries. This is truly nothing short of a game-changer for the SEO industry for many reasons. Perhaps the most significant change is that RankBrain is capable of matching search queries to pages even if the webpage itself does not contain the exact words of the query. 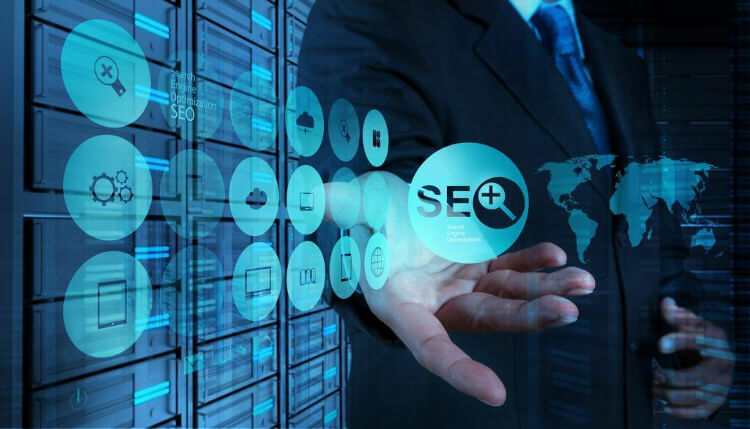 In other words, it is capable of understanding and interpreting the intent behind a search query which is truly unprecedented for search engine algorithms. The full effects of Rank Brain will become increasingly apparent in the years to come though there are plenty of signs at present that provide a glimpse of what can be expected. First of all, keyword planning is going to be a bit less important for SEO. Does this mean that you should stop keyword research altogether in 2017? Far from it! Long-tail niche specific keywords with high commercial intent will continue to send targeted traffic to your website and lead to greater conversions. However, incorporating a bunch of synonymous or related keywords/key-phrases with clumsy grammar into your web page will not have a major effect on your site’s organic search rankings. This is because RankBrain is getting better and better at understanding things like context, relevance and search intent. These factors are going to matter far more than keyword density than ever before. The bottom line is that you need to start keyword research based on search intent and focus on creating quality content based on your selected keyword instead of resorting to older tactics like keyword stuffing. Now, more than ever, content is the undisputed king of SEO. Secondly, it would be a prudent move to start focusing on enhancing your site’s visual appeal if you haven’t already. The reason for this is two-fold. One part of the reason is that search engines (especially Google) are getting a lot better at understanding what visual content like images and videos are actually about. Another part of the reason is that Google has become pretty good at identifying high-quality sites across different verticals. And most of the time, these sites are very visually focused. This implies that if your website is not rich in visual content (unlike your competitors’ sites), this could affect your ranking, that is, if it is normal for websites in your vertical to have a strong visual orientation. That aside, images, graphics, and videos almost always improve user experience by making pages more eye-catching whilst simultaneously improving the flow of content. Additionally, they also make sites more interactive which is essential for engaging your readers. Third, remember that link-building remains as valuable as ever despite RankBrain’s ever increasing importance. That being said, Google’s AI has become particularly good at discerning sub-par backlinks from high quality ones originating from respected websites. It does this by looking at the backlinks of reputed competitor websites from the same vertical based on which it constructs an ‘ideal backlink profile’ for a frame of reference. Basically, a few back-links from reputed websites will go a long way in improving your search rankings as compared to a dozen links from mediocre websites. Additionally, make sure that your back-links come from the same niche sites as the product/service that you are providing. Otherwise, this is marked as a major red-flag by RankBrain since it is a glaringly obvious deviation from the standard practice of high-authority websites in that niche. Finally, you need to leave older SEO analysis tips, tricks and hacks behind. Every time Google updated its search engine algorithms, experts would analyse the ranking data for hundreds of websites across different industries for months before the update and provide their insights on its inner workings based on the changes in their rankings. Usually, these changes would be attributed to Google tweaking with the hierarchy of its many ranking factors. Unfortunately, this will not hold true for much longer. In all fairness, the writing was on the wall since early 2016 itself. With RankBrain’s deep learning abilities, Google now uses different combinations of search algorithms for each and every query to provide the most relevant results to its users. The best that you can do is to try and figure out algorithmic changes based on differences in current website rankings from their earlier positions on an individual keyword-by-keyword basis. Effectively, this means that it has become a lot harder to ‘game’ the system by designing your website in a certain way. As of now, RankBrain is not Google’s top ranking factor (Google confirmed it to be its third-most important search ranking factor behind content and links) but its effects are more than palpable. As it learns, evolves and grows, it may very well become the most important ranking factor for Google. This will have far reaching consequences that we cannot even begin to fathom because of the sublime nature of machine learning. For the present, your focus should be on creating high-quality content that reads fluently and naturally. This is especially important since the era of voice search has finally dawned upon us. When it comes to back-links, remember that quality trumps quantity. That said, do everything in your power to improve your website’s user experience. Not only will this help with SEO, but it will also lead to more conversions which is the ultimate goal of all SEO strategies.